Interested in evolutionary biology and neuroscience? 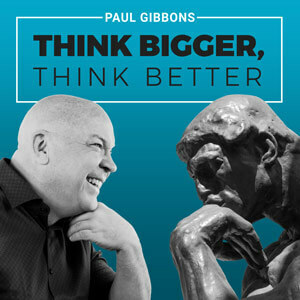 Welcome, everyone, to this edition of THINK BIGGER, THINK BETTER. In this episode, we talk to Bob Samuels – a true polymath, psychologist, philosopher, and social scientist from the University of California, Santa Barbara where he teaches Public Discourse, Psychology, and Rhetoric. We discuss the importance of reason and how to teach it, as well as the difference between science, pseudoscience, and “scientism” … and much more! 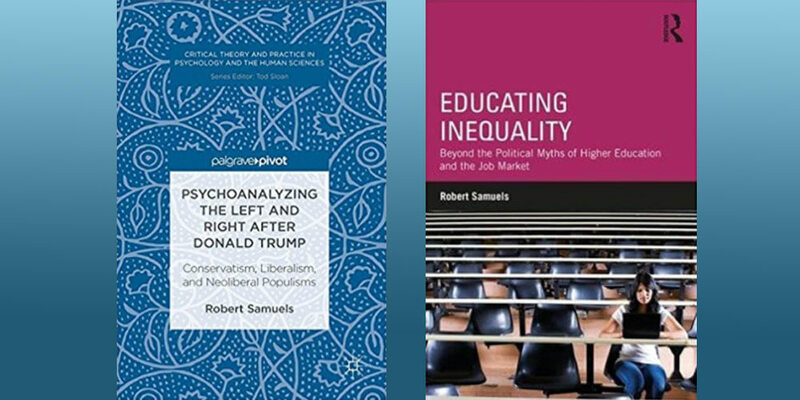 Bob holds doctorates in Psychology and English, and he is the author of numerous books, including, Psychoanalyzing the Left and Right after Donald Trump – and most recently Educating Inequality: Beyond the Political Myths of Higher Education and the Job Market. One of the reasons I wanted to have Bob on the show is because he is a contrarian – he has picked fights with public intellectual Sam Harris, with cognitive neuroscientist D’Amasio (Descartes’ Error), Harvard psychologist Steven Pinker, and Nobel winner Richard Thaler – he challenges orthodoxy in all he writes. He is an extraordinarily broad thinker – in just 40 minutes we get through neuroscience, Freud, emotion, reason, pseudoscience, education, capitalism, human rights, evolutionary biology, globalization and global governance, identity politics, and behavioral economics. You are in for a wild ride today, folks, so buckle up! Why reason is important, to people and democracy, and how to teach it to college students. The link between reason and emotion. How humans can get past “tribal reasoning” to solve some of the world’s biggest problems. The role identity politics plays in creating a response to globalization. Whether evolutionary psychology and neuroscience can help us understand gross mental processes (how we think and behave).